If you use an Internet-enabled device (and if you are reading this, you do), you are almost certainly familiar with software updates. These ever-present parts of our daily lives can be annoying, because they come with increasing frequency and always seem to slow down your machine at the most inopportune time. But they do include security updates and other tweaks intended to keep your machine working in the changing digital world. Software updates are a form of product support, a responsibility of producers to provide continued assistance to customers who have bought their product. In the digital world, product support can represent a long-term commitment. Microsoft provided mainstream support for its Windows XP operating system until 2009 (eight years after its initial release in 2001) and extended support until 2014. But XP running on some embedded systems is still supported even now, and will continue to be supported until next year, eighteen years after the OS’s release. In addition to supporting spare parts, the Lockheed Inactive Models branch designed upgrades of designs. 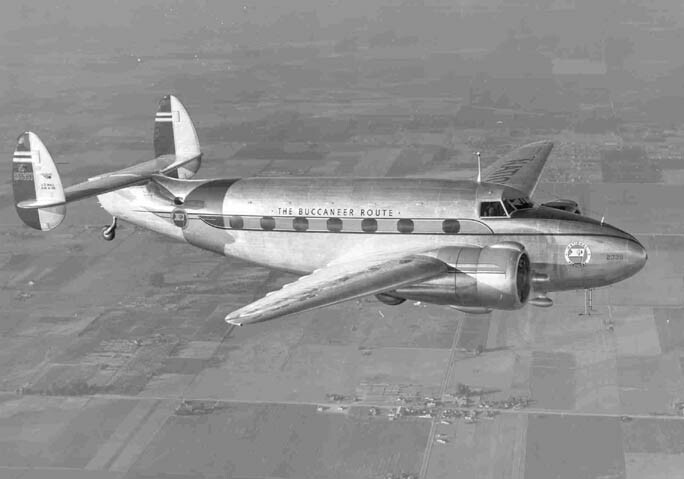 One such upgrade was the design and installation of fire-protection features for National Airlines’ Lockheed Model 18 Lodestar fleet. Although the airline had pressurized Douglas DC-6 planes by this time, its older Lodestars were still in operation and needed safety upgrades. Other projects of Inactive Models included structural repair of a Model 10 Electra (a design of the mid-thirties) belonging to a foreign customer, and winterization of F-80 Shooting Star fighter jets. Product support—whether it be of Windows operating systems or Lockheed planes—is a form of maintenance, which has always been a key aspect of technology. As David Edgerton argues in The Shock of the Old (2007), we need to pay attention to the use of technology across time—including its maintenance—not just the development of new things. The development of a technology is the beginning of its story, not the end. And for some technologies, like National Airlines’ Lodestars, that story can be a long one. The article, which appeared on the front page of the February 4, 1954 issue, is about the official handover of the first Lockheed Super Constellation airliner to Pakistan International Airlines (PIA), the national airline of Pakistan. The handover ceremony took place at Lockheed Air Terminal (now Bob Hope Airport in Burbank, California). On hand to receive the Super Constellation—a sleek, attractive airliner produced by Lockheed at its Burbank factory—was Ambassador Syed Amjad Ali. The article goes on to note that Pakistan International Airlines would start service around mid-April 1954. In fact, at this point, Pakistan International Airlines did not exist just yet. 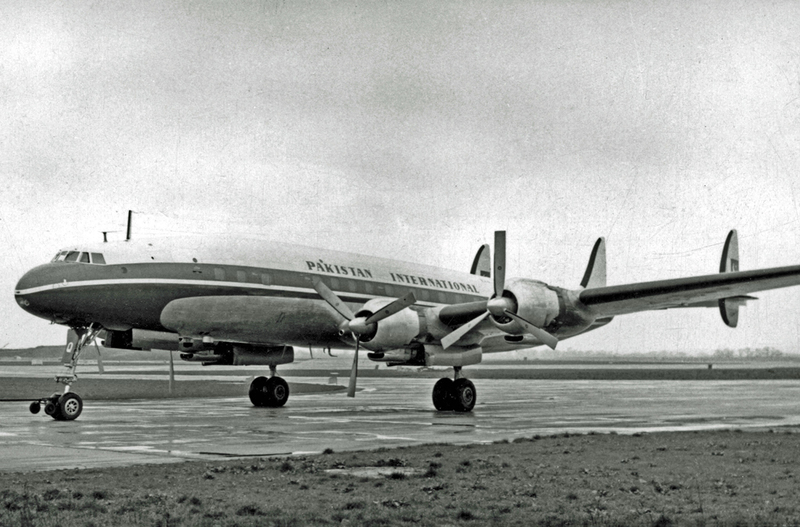 The airline was officially established by the Pakistani government on January 10, 1955, eleven months after the handover of the first Super Constellation. On its establishment, PIA absorbed Orient Airways, a quasi-national private airline that had been founded in 1946. It is little exaggeration to say that countries established during this period [the early Cold War] required three things before they could claim true sovereignty: an army, a flag, and an airline. Pakistan certainly needed to prove itself in the early years after independence. A nation in two parts, with the enemy India in between, Pakistan looked to its new national airline as a way to link the two wings of the country and promote connections with friendly nations in the West. PIA’s first international destination was London, by way of Cairo and Rome. The Lockheed Constellations, of course, were from the United States—a country that also began supporting the Pakistani armed forces with large amounts of military aid at this time. The Lockheed Star reported that the deputy general manager of PIA claimed that flexible seating arrangements in the Super Constellation cabin would allow the airline to offer low-cost coach class for the country’s masses. But air travel—international or domestic—remained out of the reach of the majority of Pakistani citizens. PIA was a luxury enjoyed by the prosperous, educated, English-speaking elite. The airline’s official name is “Pakistan International Airlines” in English. The logo is simply “P-I-A” spelled out in Perso-Arabic script. By the way, just as Pakistan established an airline after independence, Bangladesh wasted no time in setting up its own national airline after seceding from Pakistan in 1971. Biman Bangladesh Airlines began operating less than three months after independence. 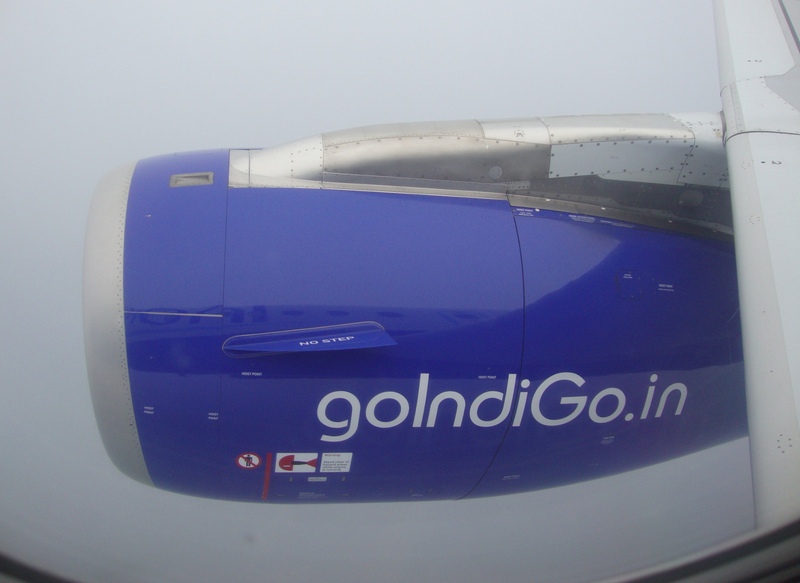 Engine nacelle of an IndiGo A320, in flight over Assam. Wow, this is remarkable, I thought. I’ve traveled back in time, and it’s the 1970s again. Meanwhile, in India in 2012, I soon realized that the present wasn’t as similar to the American 1970s as I had thought. IndiGo was not hiring women only for their femininity; the airline was also hiring them for their skills. I realized this when my plane stopped over in Kolkata on the return trip to Jaipur. As the plane was sitting on the tarmac, the cockpit crew swapped out. One of the new pilots was a woman.